Now when the weather heated up, I could drive with windows open, just to head that it sounded like complete crap, with very ricey specially at 2k rpm. Clearance to suspension is small, but works. Retired old Magnaflow, that I first purchased to my first GTZ, in time it ended to my 3.1 with stock-look & fit modifications. 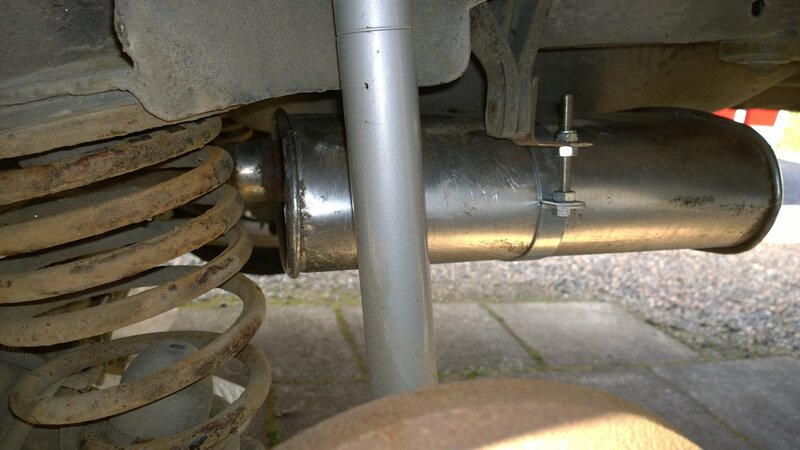 I also have DeltaFlow muffler that's modified the same way as this, to look stock, but I disliked the sound so that's only been used for a week and then collecting dust. Now the car is Very quiet, I can only hear the exhaust in 4k rpm up, other than that it's only intake noise that pics up at 3k rpm. Also no down-shifting explosions at all, that is weird since I got so used to popcorn-sound and massive explosions. Doesn't look half as good as the stock-type dual outlet, but the price for this modification was 0€ that fits my current life situation the best. Nice work. A zero-cost repair is the best sometimes! 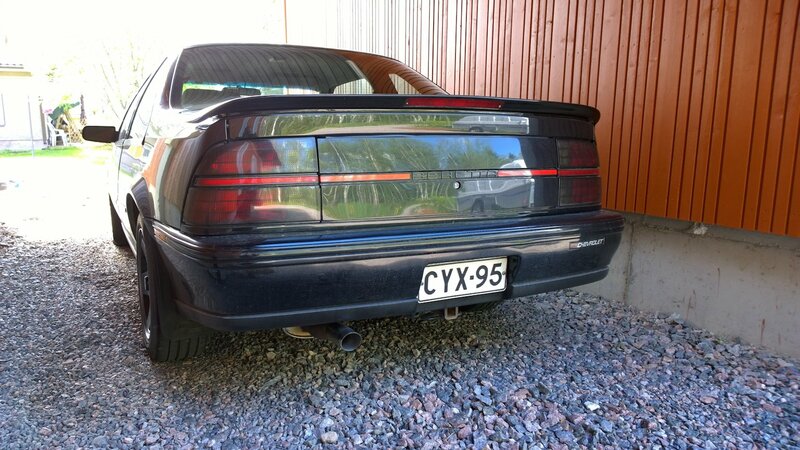 I need to quiet my GTU too -five mufflers under that car and still too loud. 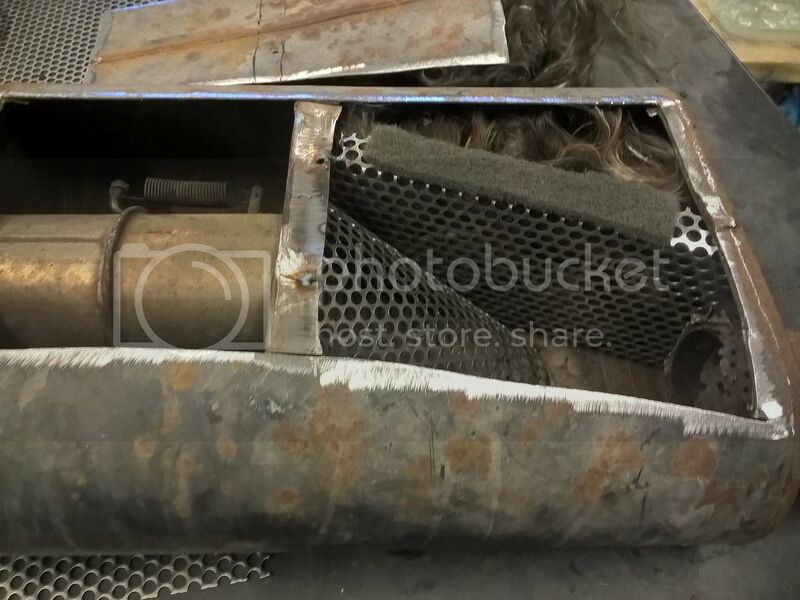 I have bad leaks after the headers too which makes it much worse -I like the 'popcorn' deceleration grumble too, but not the explosions in the exhaust caused by my leaks. I love that you have a tow-hitch on your car too -two of my Berettas have them also, I have hardly ever seen these cars tow anything. I haul my trailer once in while, help moving friends and stuff. The biggest issue with Beretta towing is lack of brakes so it takes some intense pedal action to stop a heavy load. This is great to find this. Im too tired of my magnaflow and ebay high flow cat. Im ready to go back to quit. What are your thoughts? Im thinking stock cat.....and should I do a stock muffler? I have Ron's Long tube header on the engine. Haha sweet. I've been trying to fine tune the exhaust sound on my 3400. Had a straight through Borla - too loud. Tried a Flowmaster - sounded raspy and terrible. Dynomax VT valve - mostly great with an occasional annoying flutter. 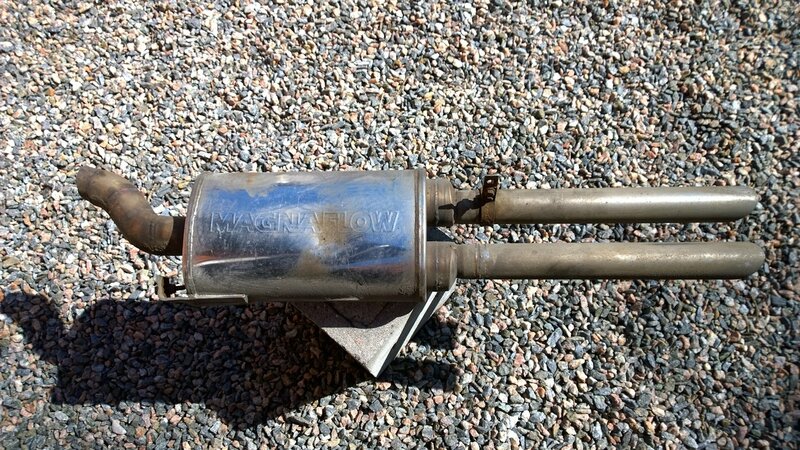 Walker Quietflow SS - good, but too big (Equinox muffler). Ran the VT for quite a few years and just "rebuilt" it after the perf pipe rusted out (they are no longer available) and modified it for a little more rumble. Volume is a little bit more than it was originally, but still pretty quiet to any other alternative. I remember when I made my Z26 ultra quiet. I actually loved driving it that way. But ya, a loud exhaust does a great job of covering up all the other wear related noises. Im diggin' the modded VT. I always thought they were cool. Funny that you brought this post up, I just recently modified my white's car another muffler to make it more quiet, I must be getting old. 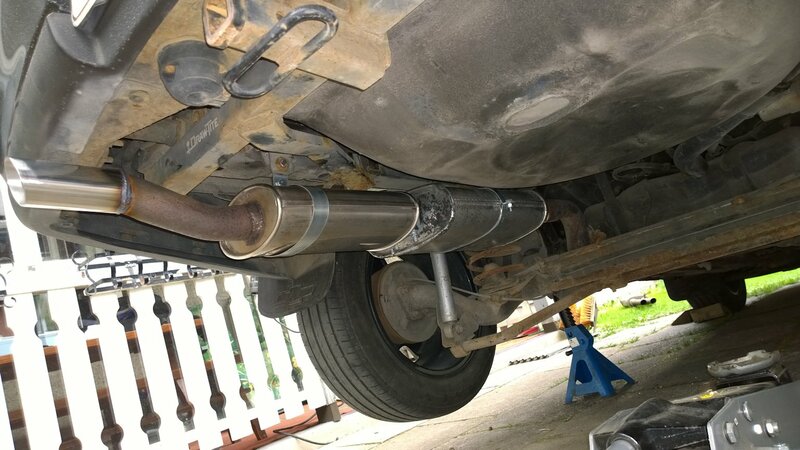 Added a cone inside the muffler too. Nice. Lol ,I was considering hooking a turbo up (hot side only) to the exhaust on my Z26 at one point. Then it rusted in half.